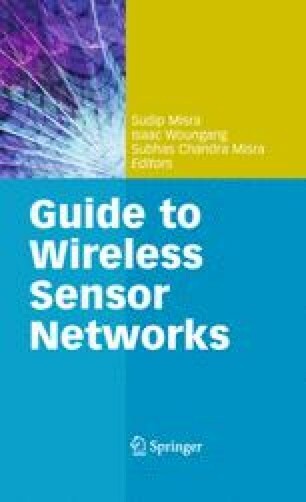 Application development for wireless sensor networks (WSNs) demands for expertise in distributed as well as embedded programming. To ease the task of application development and make this area more accessible to nonexperts, middleware abstractions are commonly employed. Middleware is defined as software which is located in between software applications. Similar to operating systems, middleware systems provide applications with additional services to implement their functionality in a more abstract manner. Since devices forming a WSN have only little capabilities in terms of processing power and memory, their corresponding operating systems only provide very basic support for application development. At the same time various kinds of applications do have additional requirements to simplify their implementation. A multitude of middleware approaches are available to fill in this gap, thus provide support for comfortable application development. We will discuss common application building blocks in this domain, discuss a selection of middleware approaches available, and provide an evaluation of their applicability by mapping application needs to middleware services.